Homework is a necessary part of education and can teach your child discipline, organisation and provide a sense of accomplishment. However, for some children, just the mention of the word homework can cause significant stress and even have negative impacts. 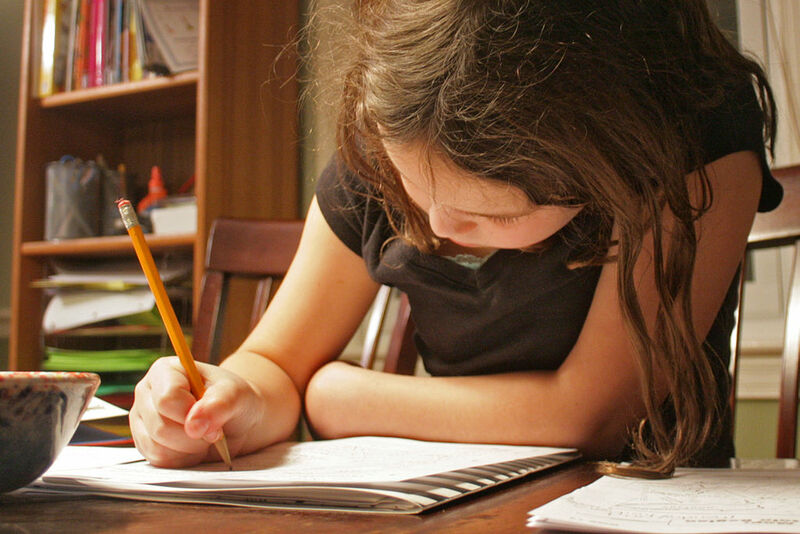 Rest assured, there are some ways to turn homework into manageable chunks and even stress-free. It is important for children to have an area that is designated for work and area designated for play. A work area that is free from distractions and clutter such as TVs, toys and other electronic devices will create a sense of clarity and calm and encourage them to focus. Creating a schedule for study can be just as important as the study itself. Not only will it help to shift your child into study mode during the time allocated for study, it will encourage them to be more organised and a sense of control over their learning. A study schedule is also great training for kids who will undoubtedly to juggle the many responsibilities and duties that come along with adult life. Sometimes children come home with projects and homework tasks that are so large they seem insurmountable. They often become overwhelmed by the task and are then discouraged from attempting it in the first place. When work is broken down into smaller goals, with breaks to cement those goals, your child is more likely to achieve them and feel a sense of accomplishment. When your child is struggling with a particular task or feeling frustrated by the amount of homework they have to do and you have exhausted all of your planning and scheduling options, sometimes it will help to practice relaxation techniques. Proper breathing and meditation techniques and even aromatherapy can provide an instant sense of calm and help your child to re-focus on the task at hand. Staying positive about homework is always key! Children will listen to and internalise positive feedback. When they know you believe in them, they will believe in themselves. The professionals at Studybox can give you strategies on how to make your child’s homework more manageable. For more information on how we can help just get in touch.